Quaint cottage is perfect for one or two couples. 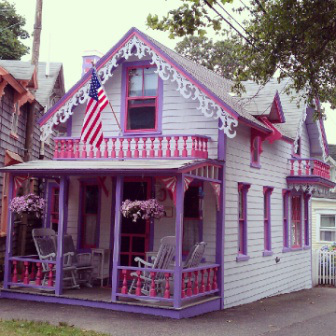 A short walk to festive Oak Bluffs harbor, shops, restaurants and the beach. Relax in a rocker on the covered front porch with a view of the grove surrounded by colorful gingerbread houses. Renovated kitchen and bathroom with a shower. Cook out in the backyard with gas grill, lounge chair and a picnic table with umbrella. Guests supply own towels and sheets. Non smoking house and no pets. Weekly rate for July & August is $2450. Weekly rate for other months $2275. Plus a refundable security deposit of $500. More photos available upon request. Call Lorna @ 781-718-0414 or email at [email protected].